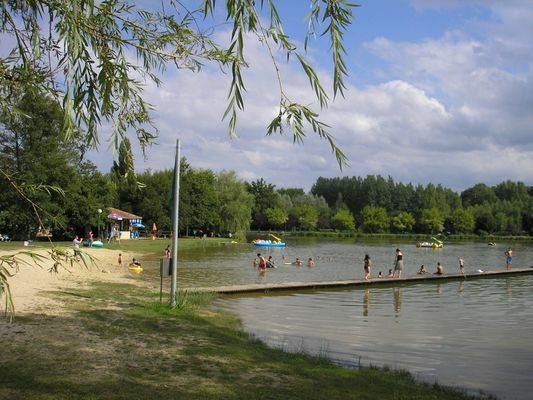 Artificial lake beside the municipal camp site, bathing free and accessible including for people not staying at the camp site. Supervised bathing from 1/07 to 31/08, 15-19.30. Pedalos.